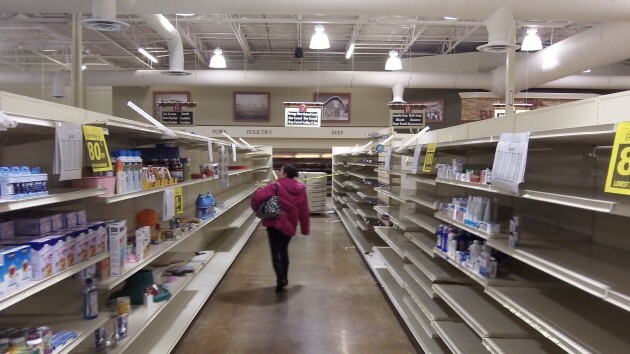 A shopper scans Ray’s nearly empty shelves on Tuesday. How long North Albany will be without a supermarket now that Ray’s has closed is uncertain, but Pete Snook hopes it won’t be too long. And perhaps a growing customer base will make the job easier. Snook is with the Portland-based SD Deacon Development Group and was instrumental in developing the North Albany Village shopping center a decade ago. 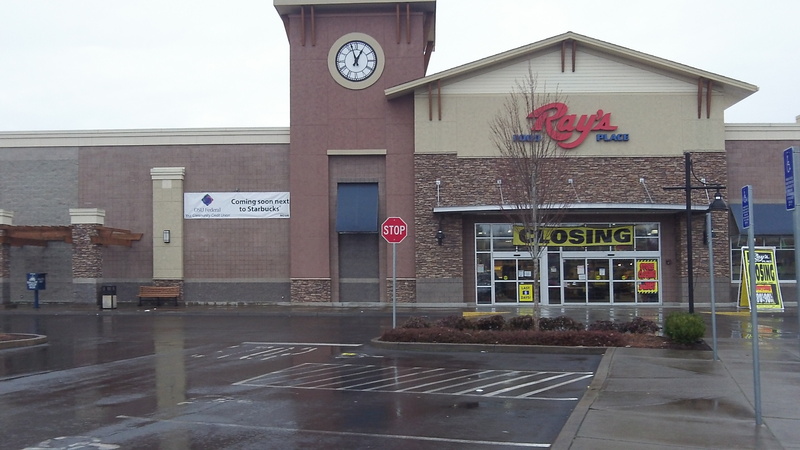 I spoke with him Tuesday about replacing Ray’s, the shopping center’s anchor store, one of 16 the C&K chain of supermarkets is closing as part of a reorganization under Chapter 11 of the bankruptcy laws. The North Albany store opened in 2006. On Tuesday, signs said it was Day 2 before the place would close for good. The shelves were almost bare and most of the 43,000-square-foot space was taped off limits to the public. Snook says the closing happened so quickly that Deacon has only just now been able to put together a marketing plan and put the word out there in “the real estate cloud.” It’s impossible to predict how long it will take to find a new tenant. Snook says it could be tomorrow or a year from now. Meanwhile, the OSU Credit Union, which rented space inside the supermarket, plans to relocate to the building that also houses Starbuck’s. But Snook says Deacon has sold the credit union a vacant lot in the development — facing North Albany Road and recently leveled — where it plans to build a bigger office. One factor that may help in finding a replacement market is that its nearby population continues to grow. The latest figure for the city of Albany in Benton County is 6,764, and housing construction has picked up since the estimate was made in 2012. That’s not counting people living in the unincorporated parts of North Albany. What a shame to see Ray’s close its doors. We loved that store. It may have been a bit pricey, but the quality of the products were superior to the other local chain stores….. It would be great if Whole Foods or Trader Joe’s took that space……. Time will tell….